Eighteen people have died after a fire broke out at a foot spa in eastern China’s Zhejiang province, CCTV reports. 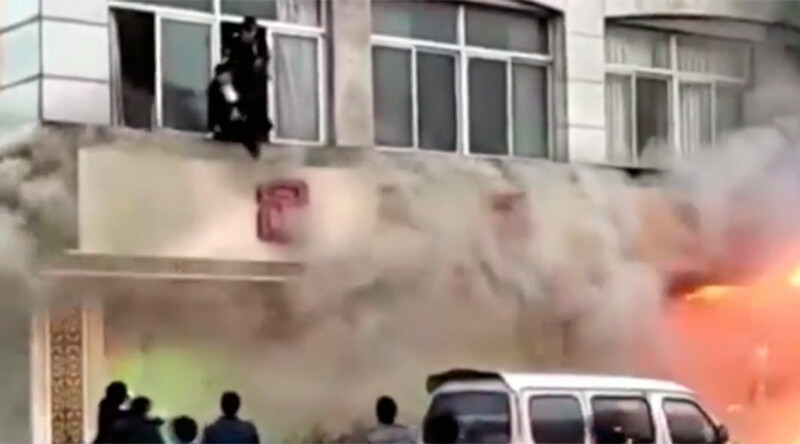 The fire started at approximately 4pm local time Sunday in a foot spa in Tiantai County. Photographs and footage from the scene show the premises engulfed in flames with smoke billowing out of the building. Some of those trapped inside when the blaze broke out jumped out of the first floor windows to escape the flames. Firefighters from Tiantai County Fire Squadron were dispatched to the scene to tackle the blaze. Reports on Chinese state television say that at least 18 people have died in the fire, with a further two injured.